The Walking Dead will be at SDCC 2015. Here is the banner that will be at the San Diego Comic Con in July. 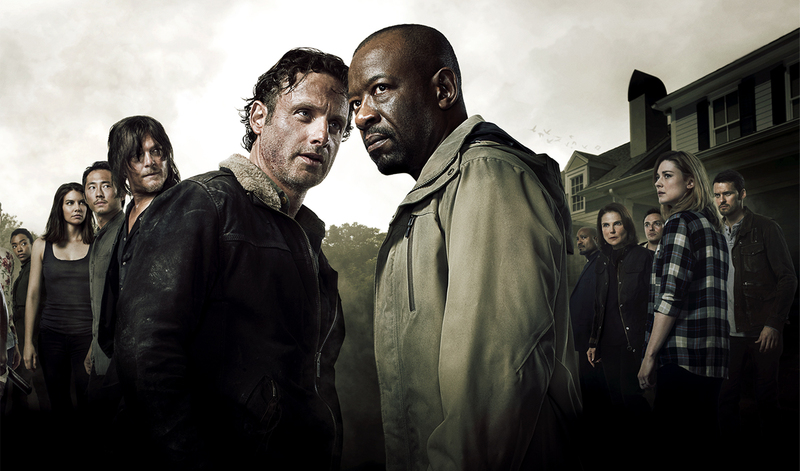 (from L-R): Michael Cudlitz as Abraham, Josh McDermitt as Eugene, Alanna Masterson as Tara, Christian Serratos as Rosita, Chandler Riggs as Carl, Danai Gurira as Michonne, Melissa McBride as Carol, Sonequa Martin-Green as Sasha, Lauren Cohan as Maggie, Steven Yeun as Glenn, Norman Reedus as Daryl, Andrew Lincoln as Rick, Lennie James as Morgan, Seth Gilliam as Father Gabriel, Tovah Feldshuh as Deanna, Ross Marquand as Aaron, Alexandra Breckenridge as Jesse, and Austin Nichols as Spencer. The panel will take place Friday July 10 at 12 pm PT in Hall H.